BHIM (Bharat Interface for Money) app is a mobile based app which came into use from 30th of December 2016. On the occasion of Bhim Rao Ambedkar Jayanti, The Prime Minister has announced various new features related with it and also ways to how to earn money through BHIM app, as the app is dedicated to Baba Bhim Rao Ambedkar, one of the Indian Pioneer in politics. There are two new schemes launched by the PM which is named as BHIM Referral Bonus Scheme and BHIM Merchant Cashback Scheme. Using these two schemes you can get a fixed cash back using BHIM Aadhar App. Very simple note: If you ask someone to download the APP and he will do 3 transactions after downloading the APP, you will receive Rs 10 as a referral bonus. If you refer 20 people daily then simply you will receive Rs 200 in your account as stated by PM Modi while launching the BHIM Aadhar APP. 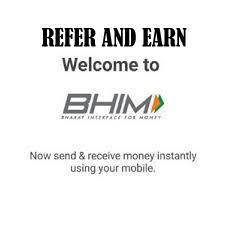 How to earn money from BHIM Referral Bonus Scheme: under this plan, if existing BHIM app users refer the app to anyone, he/ she will be getting money of Rs 10. This is done in order to encourage new users to use BHIM app and earn more. How to earn Money referring BHIM Merchant Cashback Scheme: if a merchant is bringing up new users by refereeing BHIM app to the, he/she will get Rs 10 on every referral if he/she make 3 transactions. Beside these BHIM App can be operated without the internet. Once you get Refer money of BHIM app in your wallet, you can withdraw the amount from BHIM app using your fingerprint. With this feature, BHIM app will be operated with a biometric system. Visit our page on regular basis to get updates on BHIM App Refer and Earn Scheme. First, visit the official Bhim App and click on the Invite and Earn option available in the BHIM Mobile App. Referring a friend or relative the same code and ask them to download the Bhim App and start the transaction on it. Share your BHIM App referral codes and after 3 valid transactions, you will receive money in your account. It is a very simple method. Enter the Amount customer wish to pay. Validate the payment using the finger. Along with validation, enter the Bank name they wish to pay. Submit payment detail with Bank Name. Said amount will be transferred to the merchant account. 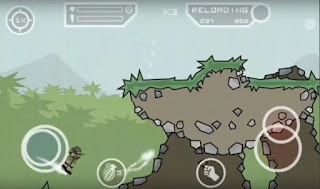 The merchant should connect the Mobile Phone with Biometric scanner or enable the function within a smartphone to accept payment through Bio-metric. Link the own Aadhar number and input bank detail to receive Payment through App. In order to pay using aadhaar payment app, merchant needs a smartphone connected to a bio-metric scanner. If your phone has an inbuilt fingerprint sensor then you may not require an external fingerprint sensor. The bank accounts of both merchant and the customer need to be linked with aadhaar to make aadhaar enabled payments.